Today’s free design resource Whohoo mobile Ui kit is designed and released as a freebie by Zippypixels. 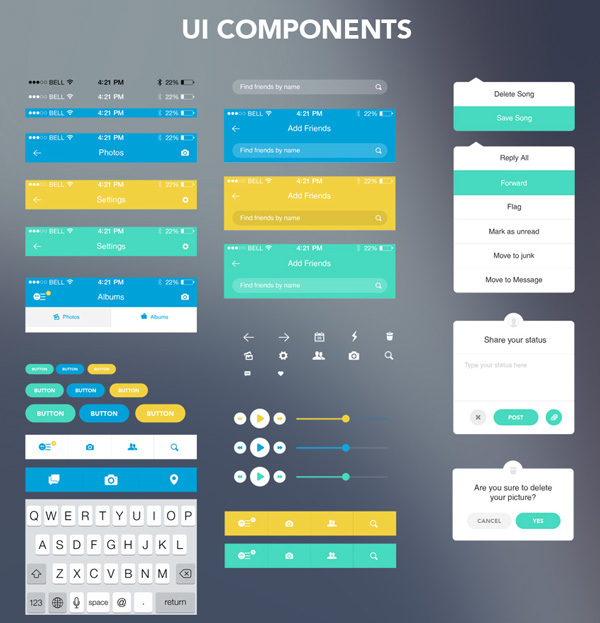 This Mobile UI kit beautifully crafted to help you design your next top iOS 8 app with ease. It’s retina HD Ready and 100% vector and component based.